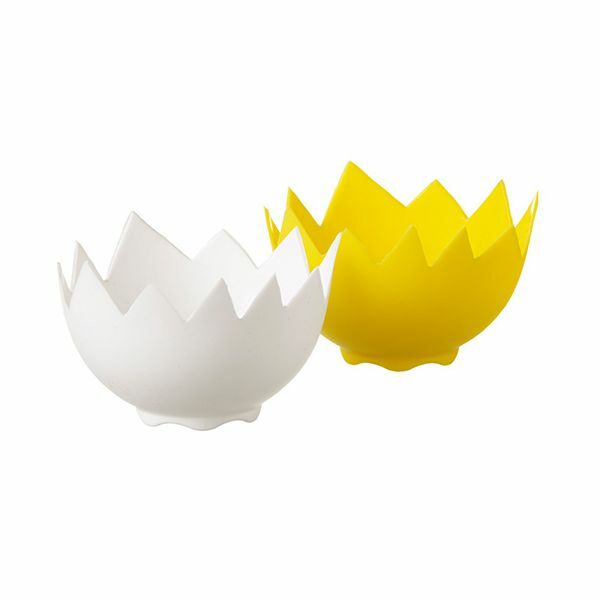 Eddingtons Poach Perfect Silicone Egg Poachers come as a set of 2, one white and one yellow. They have a standing base so they can be used for jellies, ice creams and individual desserts. Made from FDA approved silicone, dishwasher safe, microwave and freezer safe.